Handy refill packs for Method washing up pump bottles. One pouch will be enough to replenish the stylish bottle twice. 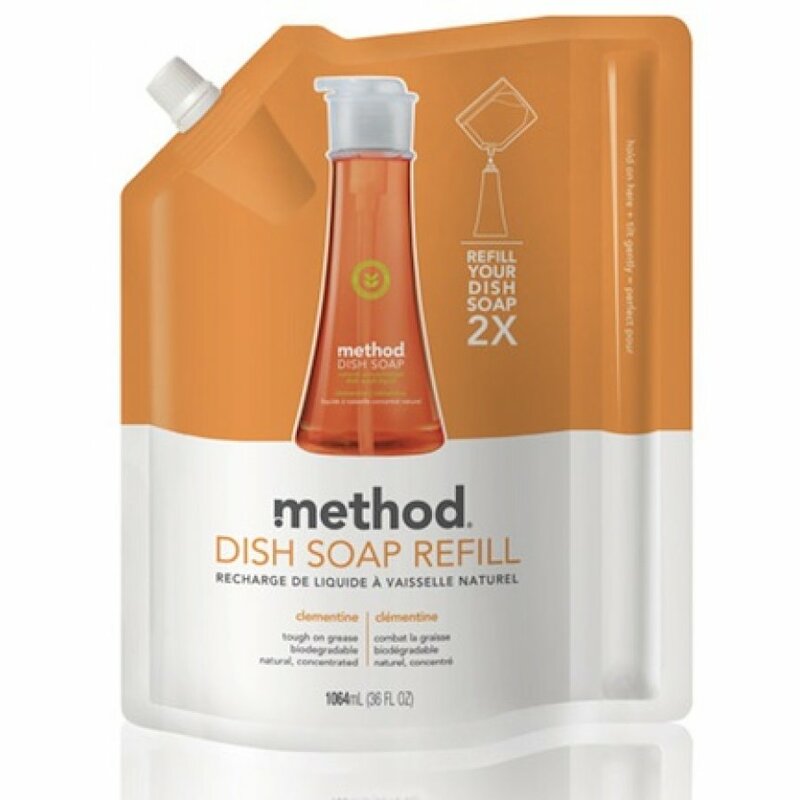 The washing up liquid from Method is a natural and eco-friendly cleaner that can still cut through the toughest grease and stains in your kitchen. Formulated from coconut oil derived biodegradable cleaners, aloe vera gel and vitamin e combine for high-powered cleaning that keeps hands soft and goes down the sink without a trace of guilt. Purified water, sodium lauryl sulphate, alkyl polyglucoside, lauramine oxide, alcohol, vegetable glycerine, citric acid, sodium chloride, benzophenone-4, preservative, colour, fragrance oil blend. The Method Washing Up Liquid REFILL - Clementine 1064ml product ethics are indicated below. To learn more about these product ethics and to see related products, follow the links below. 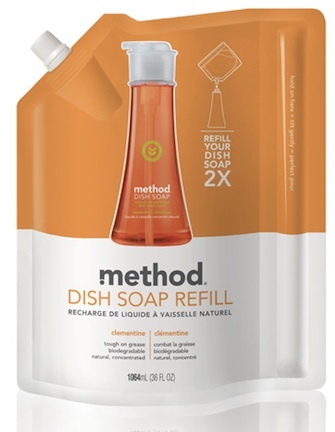 Love Method washing up liquid. Very effective and gentle to my hands. And you don't need to by new plastic bottles each time. Could come in bigger refill bags. 5 out of 6 found this question and answer helpful.